Bluffton Okatie Primary Care (Okatie) - Book Appointment Online! Welcome! If you’re looking for convenient primary care, Bluffton-Okatie Primary Care is just the place. We can provide you with the healthcare your whole family needs, backed by the quality and resources of both Coastal Carolina Hospital and Hilton Head Hospital. 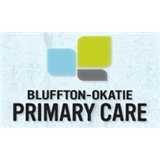 Bluffton-Okatie Primary Care physicians specialize in Family Medicine and Internal Medicine. We are conveniently located in the Bluffton-Okatie Outpatient Center, near Sun City Hilton Head and other nearby communities. At our office, same-day appointments are available and we accept Medicare, Medicaid and most other insurance providers. Our staff is available to answer any questions you may have about our services. If you are new to the area and need to transition to a doctor in our office,we will be glad to provide you with the necessary information to make the transfer of medical information as smooth as possible. I am a new patient and Dr Madison took time to talk to me, ask me questions and listen carefully to my answers and thoughtfully answer my own questions and concerns. He assured me that he can manage my chronic diseases and refer me to specialists only as needed. He is very warm and not condescending.